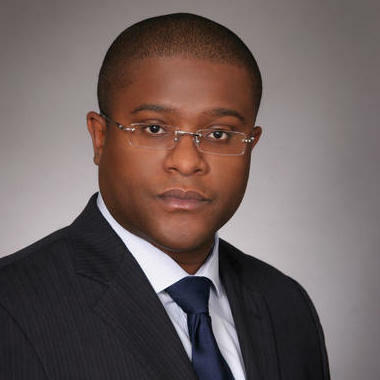 Reginald is a transactional attorney with wide-ranging expertise in both legal and business matters including general corporate, finance, IT and energy transactions, as legal counsel, for privately, publicly held, and start up Companies. Reginald holds a J.D. from the University of Texas and an MBA from the University of Chicago Booth. His prior experience includes 15 years of legal in-house and private law firm transactions from Asia to the U.S. He has previously and currently serves as counsel for top tier private, public, and start-up Companies and Institutions across multiple industries. He lives in Houston but represents clients… read more throughout the world. Please note: pursuant to Sewell Legal policy, we reserve the right to maintain and protect the privacy and confidentiality of our Clients, specifically at our Client's request. We are permitted to disclose representative Clients subject to said Clients' voluntary written consent. As previously described in detail, Sewell Legal serves as counsel for top tier private, public, and start-up Companies and Institutions across multiple industries. "Mr. Sewell thanks for the follow up. We have two commercial partnerships with others still coming together. I think you said you provide services that we might need to put our commercialization strategy into affect. I really liked the service you provided to date and would like to call on you when the time comes for the next step. Thanks again. Mathew." "I hired Mr Sewell to set up the LLC for my new company. I needed the LLC completed in 48 hours and Mr Sewell was extremely responsive and handled setting up my LLC within the short time frame which was needed. He worked after hours and even called me on Saturday when I went to the bank to set account to make sure everything went well. The personal attention and care he gave was exceptional. I highly recommend Mr Sewell Glenn - Texas"
Serve as General Counsel to 15+ public, private and start-up Companies and Institutions. Report directly to Client’s Directors and Executives. Lead corporate strategic and tactical legal and business initiatives. Provide senior management with daily legal and operational advice regarding growth/oversight, and implementation of Company objectives. Oversee work of internal and external counsel. Assisted in litigation and pre-litigation disputes, transactional matters, legislative efforts, airport leases, contracts and procurement, and, airport bond offerings. Post-petition advised on general bankruptcy and strategic corporate financial matters involving plan confirmation, disclosure statement, settlements, strategic sales, reorganizations and workouts across multiple bankruptcy estates. Pre Petition advised Global Finance Legal Group, Enron Energy Services, and Enron Broadband Services.